Inspired by the Pop Art movement, the Quasi Rug by Serge Lesage presents a fresh interpretation of chic 1950’s style. A piece of art in itself, the Quasi Rug features an abstract design of interlocked triangles. Each triangle is emphasised with painterly strokes of charcoal. 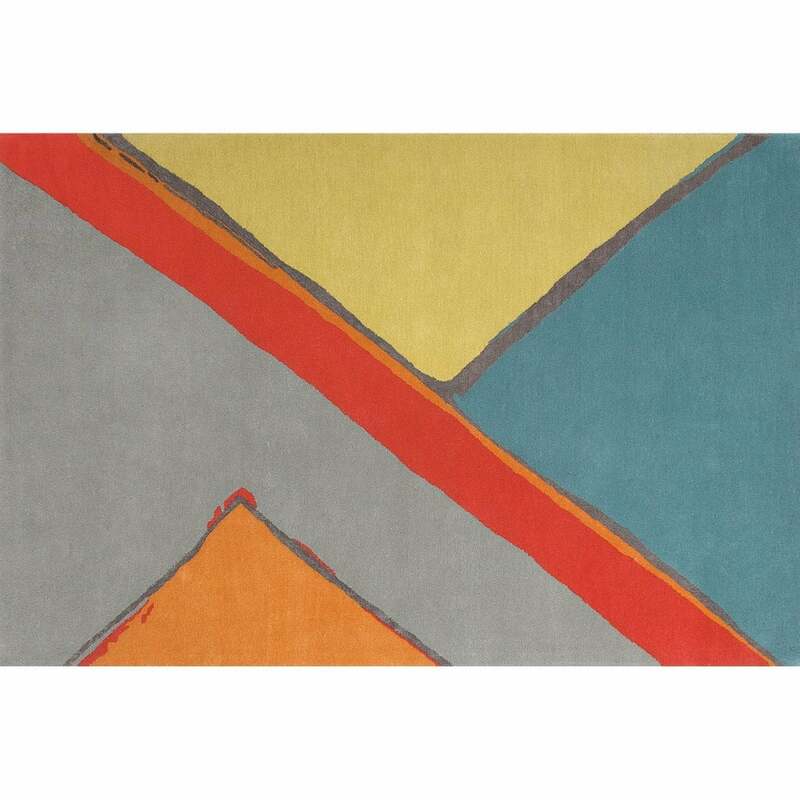 Primary colours of red and yellow blend beautifully with complementary tones of teal, orange and dusty grey. This unique colour palette is just waiting to be shown off in contemporary homes. Hand-tufted from soft New Zealand wool and viscose, Quasi is a must-have investment piece for any design lover. Bespoke sizes are available on request. Make an enquiry for more information.